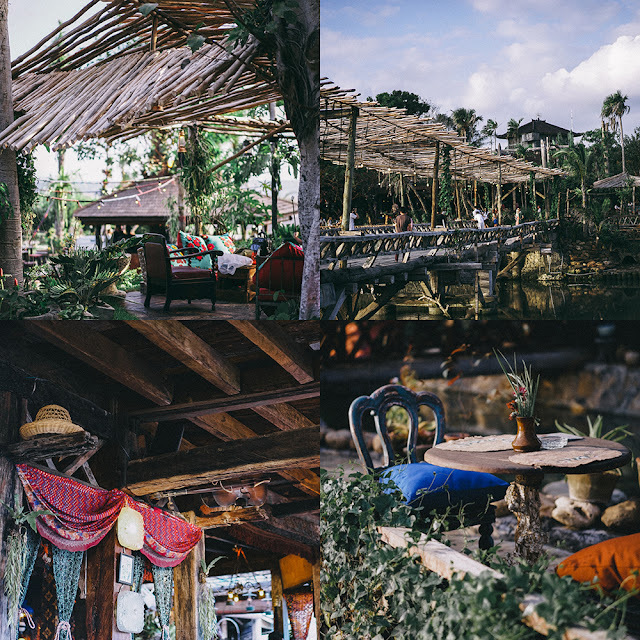 On my latest Bali trip, I made a visit to Jamie’s Italian restaurant which located strategically on the Kuta beach street, just beside Hard Rock’s Cafe to be exact. For those who are not aware, Jamie’s Italian is the restaurant brand chain curated by the very talented Jamie Oliver, British chef and TV personality. THE HIGHLY ANTICIPATED HURRICANE'S GRILL IS (FINALLY) IN TOWN! Brought by the Normi group, their first franchise is located in Gunawarman (Senopati) and I got the exclusive invitation to join the grand opening and media gathering, besides telling the brief background of Australia's very own favorite rib house, they also showcased some of their best sellers to us (and sample them a bit), and here I am now showcasing them to you! The popularity of Pasar Santa is now fading when you compare it to last year or even a few months ago, rest assure as there’s another food arcade that’s ready to entertain our palate, say hi to Food Fighters! My Labuan Bajo and Bali trip was splendid! I feel like I was in my most relaxed and calmest phase I’ve been in my life for like the last one or two years. Blogging life and routine has been so crazy. Maybe some of you can’t relate and wonder how busy can a blogger be, not sure if I am gonna let you in on that secret, but there are so many open chances and projects outside blogging too that I am currently working, and juggling the working life and private life is not always ABC easy but hey, a work is not a job when you have fun with it, and plus, I can always have my days off Jakarta and travel whenever I want! As a local tourist, the life in Bali is like the best days you can have off Jakarta, even when it’s not Sunday, it does feel like everyday Sunday. I don’t know exactly how many times I’ve been to Bali in my life, but each visit is always special, especially this year, since I haven’t gone to Bali since December (to celebrate New Year), my last Bali trip – that just ended two days ago – felt extremely special. Nomz Jakarta recently launched some of their newly curated menus, yes that particular NOMZ where Chef Arnold Poernomo is included. Got the chance to sample their menus and here I am blogging them for you to read. Before I start explaining about their menus one by one, generally, I found their new menus to be slightly different. The thing about their new menus that attract me the most is their presentation, just special yet simple and classy. WHAT YOU SHOULD TRY: NOMZ JAKARTA NEW MENUS! I don’t know if you get this question a lot, but if someone asks you then how do you like yours? There are tons of types of bread types available in the world, and mostly depending on where the bread came from (origin country). The European bread, or generally French bread is normally more textured and hard, German’s bread (pretzel) is hard with a hint of salty and Indonesia’s bread normally falls in between, not too soft and fluffy, but too hard either. ALIVE FOR BREADLIFE: 10 YEARS AND MORE! There are a lot of Japanese restaurants in Jakarta, that’s one thing for sure, and me being me is simply being very skeptical about the Japanese food and the Japanese restaurants that I am visiting. I am the type of person who prefer eating at a same place that I am comfortable with again and again, because I know I am hard to impress. This 4 month old Japanese restaurant has been on my hitlist for quite some time and a couple of weeks ago I managed to fit myself in and sample what they had in store. I’ve never seen a lot of fancy restaurants in the Bandengan area, and it’s brave enough for them to open a Japanese restaurant with that scale, and by that scale I mean BIG. I love the idea of finding hidden gems, trust me, out of the hundreds of reviews that I’ve posted on my blog, I believe there are places that I haven’t discovered with huge potentials to probably (sort of) “out do” the visited restaurants, almost everyday I am on the mission in search of new eating spots or hidden gems to recommend to you my dearest readers, friends and relatives. Last week I made a weekend impromptu trip to Singapore, my favorite city for a short weekend getaway with friends and the purpose of the trip is to browse the F&B scene and do the cafe hopping! OMG so glad that I am destined to be friends with people who are monsters! Taiyaki (fish cake) is undoubtedly one of the most dominating & trending food/dessert item at the moment, and the past few months we’ve seen such revolution such as Croissant Taiyaki, which is the crossover of the croissant pastry and Taiyaki’s shape, and it’s very common for Jakartans that when one is setting the trend, others follow and try their best to simply be the best, but again, when it comes to taste, it’s very subjective because the four that I am highlighting here have their own versions, so anyway, here are some of the most happening croissant taiyaki in Jakarta. 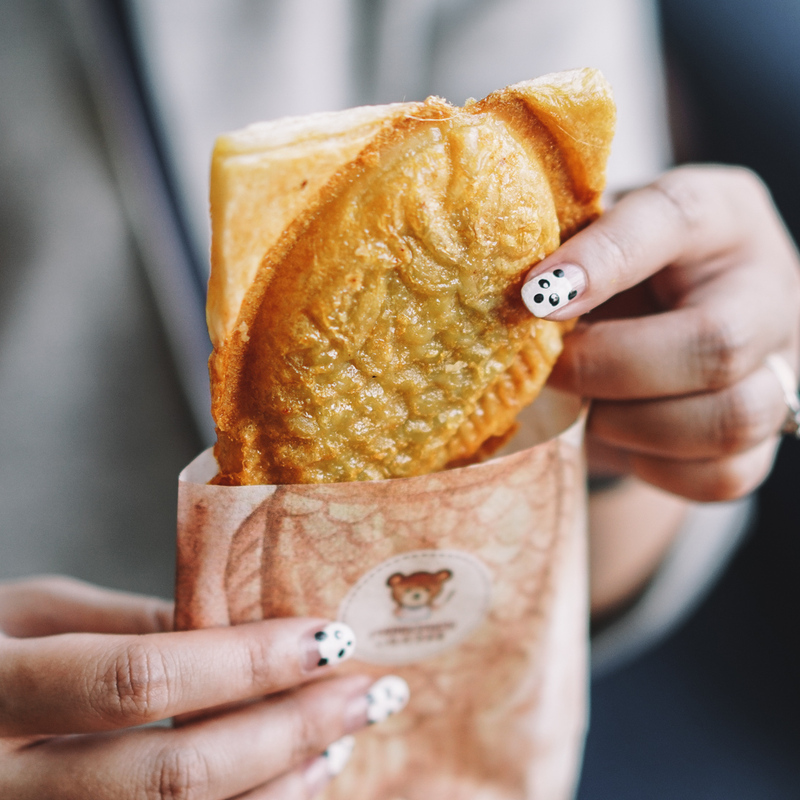 Ebbey Taiyaki is a taiyaki dessert brand that you can find in Mal Kelapa Gading 2, they’re pretty popular for their taiyaki dessert and just recently they launched their version of croissant taiyaki. 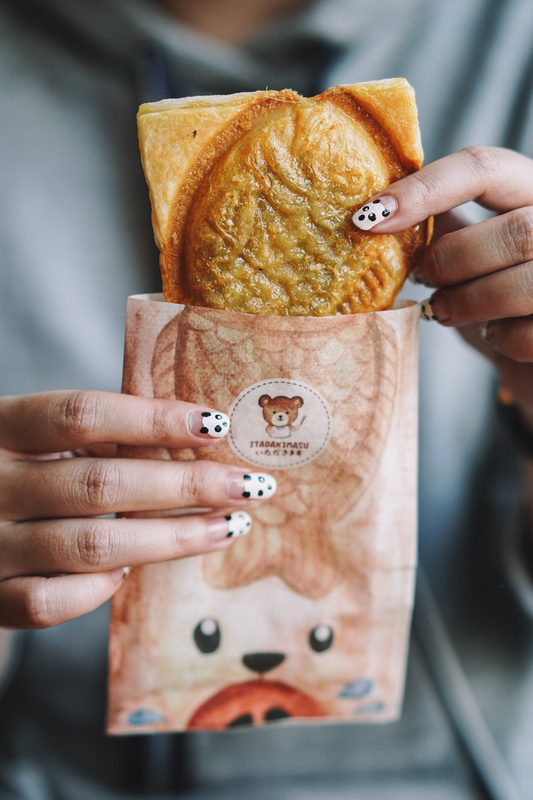 Their croissant taiyaki is coated with sugar, flaky with moist and soft middle, and available in mocha and Nutella filling. I personally found their croissant taiyaki to be decent enough. Itadakimasu’s version of croissant taiyaki is actually more like mochi croissant taiyaki as their dough is very chewy with flaky coating and generous filling (of course I am rooting for their Nutella filling), overall for me it’s still pretty decent and worth going for despite how famous they are for their sleeping panda curry rice. Pungopang’s version is literally “cooler” than the rest, well that because it’s currently the only outlet that serves croissant taiyaki dessert with ice cream filling. 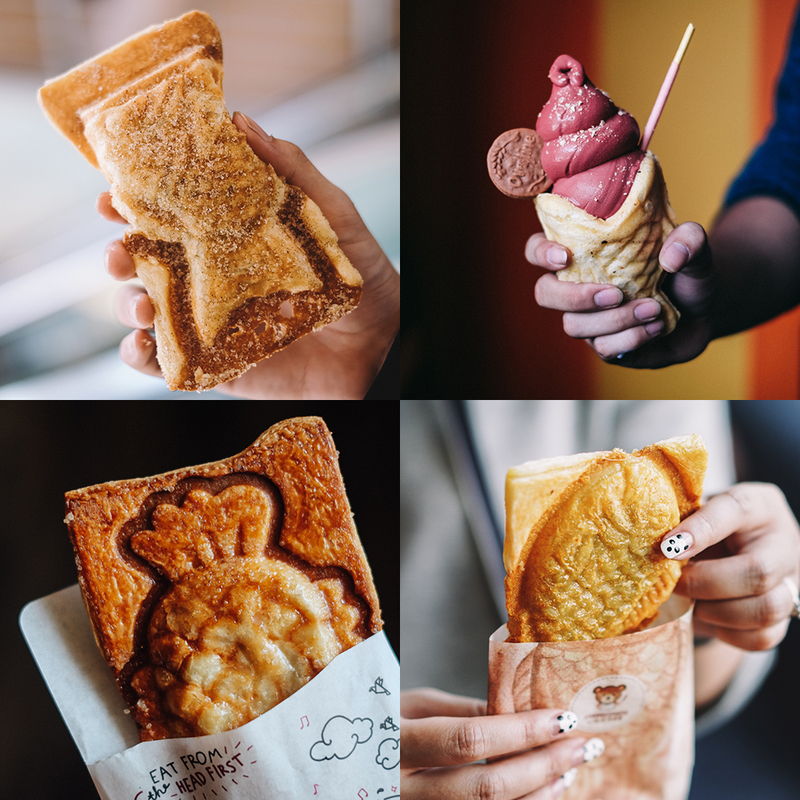 I’ve always loved Pungopang ice cream and I was fond of the fact that they created their croissant taiyaki to be completely dry, somehow works with the ice cream filling. You can choose their ice cream flavor depending on your liking: they have chocolate, red velvet, taro, matcha and horlicks. I don’t want to be bias but I personally think Taiyaki Patiserrie serves the best croissant taiyaki at the moment. Their croissant dough is very buttery hence it reacts amazingly well with the heat and very fragrant. The coating reminds me of Danish pastry, and when you actually have a bite, you’re going to experience that layers of goodness, but it’s the filling that wins big time, I highly recommend their rum or red bean flavor. The consistency of the custard is not entirely thick and creamy, it’s this medium custard consistency with rich filling flavor and one is certainly not enough. Paid a visit to this cafe in Kemanggisan last week for quick late lunch with sis before heading to our meeting in Puri Indah. My sis has been talking about this cafe for quite some time, especially for how affordable the prices of the food while aligning with the good quality. So today I went to have brunch with my friends at Cork and Screw Pacific Place, and it so happened that today, they just launched the “brunch at the terrace” activity featuring guest chef, Asier Arroyo. I’ve been a huge fan of Cork and Screw, first of all, this restaurant is managed under the Union group, I don’t know exactly why, it’s maybe their upscale chic design/ambiance, or maybe their good food, but their restaurants always seem to feel special for me! Secondly, I’ve been visiting Cork and Screw countless times since it first opened in Plaza Indonesia, and when I was still in the high school, and you go back and forth to a particular place not for no reason, there’s indeed something special about them.